Are your teeth crooked or not fitting together correctly? Uneven teeth are harder to keep clean, at greater risk of being lost early due to tooth decay because of food impaction (or periodontal disease) and detract from having a healthy, lifelong smile. See below an example of what Fastbraces® can offer. While these established treatments are effective at straightening and closing gaps, there are an exciting range of newer choices such as Fastbraces® that can be fast, safe, easy and a more affordable cost for children and adults. Fastbraces® have been developed to straighten teeth differently. Fastbraces® is a complete, non-extraction system for most cases, which provides patients with outstanding results and Milford Dentists Master Providers are proud to be Auckland’s premier dental office to offer the amazing Fastbraces® Technology. Traditional braces move teeth into position in two stages, usually over a period of about two years. In the first year, the crown of the tooth is moved into alignment. In the second year, treatment addresses the position of the root of the tooth. However, the brackets used with Fastbraces® work on a different mechanical principle altogether. The patented system uses an innovative triangular bracket and a specially- shaped square wire to correct the position of the root of the tooth, from the beginning of treatment. This combination is essential in realigning the root and crown simultaneously and significantly reducing the treatment time. How Long is Fastbraces® Treatment Time? Compare this to older, traditional style braces - these typically take between 1.5 to 3 years of treatment. Fastbraces typically cost less than traditional or conventional braces. Fastbraces® treatment typically is usually priced between $5,000 and $7,500 ( including Essex retainers). How Much Do Traditional or Metal Braces Cost? The cost of traditional or conventional (metal) braces is usually between $7,500 and $10,000. How Much Do Clear or Invisible Braces Cost? Invisible or clear braces such as Invisalign cost more again and are likely to take longer to achieve similar results. Want to know more about Fastbraces®? Call us on 489 6575 or email us to discover how Milford Dentists and Fastbraces® Technology can team up to give you a smile that you have always dreamed of. 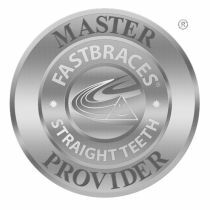 ​Andrea Clarke, BDS is a proud Fastbraces® Master Provider: Fastbraces technology that is fast, safe and affordable. How would you describe FAST BRACES to your friends and family? Great, friendly and affordable. Highly recommend. Very fast. New technology which reduces wait time, but works just as well as traditional braces. Cheaper faster alternative to traditional orthodontics.